Sussex-based folk pop/rock band the Purple Shoes will be presenting an evening of live music at the Ropetackle Arts Centre in Shoreham on September 1. Seadogs and Troubadours will showcase performances from some of the finest local artists on the contemporary folk scene, they promise. 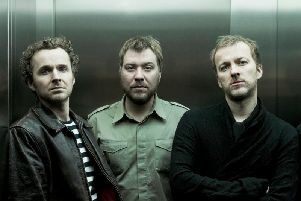 The Shoes will perform a set of audience favourites and will also showcase material from the forthcoming album. The band also hint that there will be some surprises in store on the night. The line-up also includes contemporary folk ensemble Bird in the Belly. The show will open with a performance from acclaimed sea shanty vocal group the Wellington Wailers. Recent headliners of this year’s Falmouth International Sea Shanty Festival, the group have also been played on Mark Radcliffe’s folk programme on Radio 2.” Tickets £10 on 01273 464440.